Root canal procedures don’t have the greatest reputation in the public consciousness – when most people hear the words root canal, their first thought is often about the pain involved. But in actual fact, the reality is slightly different. A root canal itself isn’t a painful procedure – but it’s usually pain that that necessitates it. A root canal treatment is a very effective way of dealing with a diseased tooth. That’s why at AP Smilecare, we’ve dedicated this week’s blog to clearing up some myths about it. An important distinction we should make right off the bat is that there are two possible answers to this question, depending on whether we’re talking about root canal treatments or root canals themselves. We’ll start off with the latter, just so we can give you the full picture. A root canal is the term used by dental professionals to describe the natural cavity in the centre of a tooth. In this root canal is the pulp, which is made up of blood vessels, nerves and connective tissue. Amongst other things, the pulp is the part of your tooth that detects changes in temperature (think eating an ice cube!) and helps to grow the root of your tooth during development. The pulp of your tooth can sometimes get damaged or infected, which means it needs to be removed. This is where the root canal procedure comes in. A root canal treatment is used to save teeth which would otherwise be removed. It’s actually very similar to a routine filling, and can usually be completed in one or two appointments – although obviously, this depends on the condition of your tooth, and your personal circumstances. At AP Smilecare, this is one of the most common misconceptions we hear about root canals, and we’re very happy to say that it’s actually not true! It’s not the procedure itself that’s painful, but rather the situation leading up to it, as infected or damaged teeth can indeed cause a huge amount of discomfort. Somewhere along the line the two appear to have gotten mixed up in the public consciousness, which is where this misconception probably comes from. 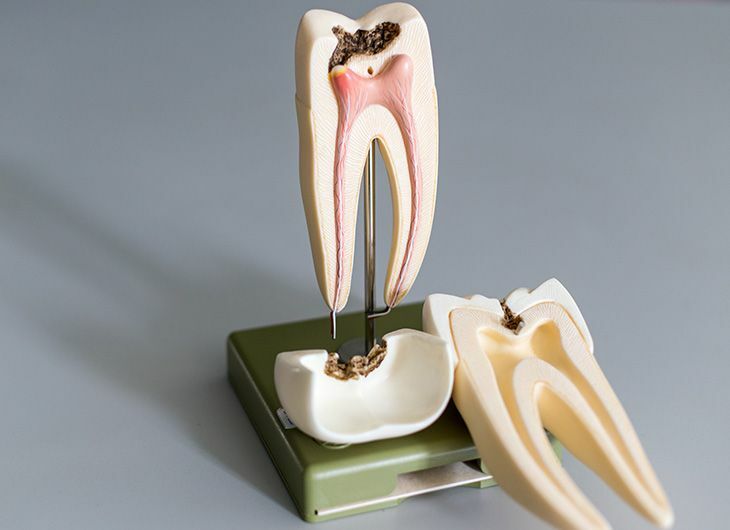 If you’ve ever had a root canal or damaged pulp of your tooth, you’ll already know about how uncomfortable it can be. A pulp can become infected or damaged for a number of reasons, ranging from decay, faulty crowns, or physical trauma. When the pulp gets damaged, bacteria can worm its way in to multiply within the tooth, causing an infection which can lead to an abscess (basically a pus-filled pocket inside the pulp chamber – trust us, not something you want!). This is exactly the sort of thing that a root canal treatment is designed to avoid. In a nutshell, your dentist will extract the pulp of your tooth an inject a synthetic filling instead, so you can continue to eat, chew and talk normally. Here at AP Smilecare, we’ve got a range of dental treatments to help perfect your smile. Your welfare is our absolute priority, and our aftercare is second to none. You can pop into our dental clinic in Blackburn to book an appointment, or call us on 01254 297 000. We’re here to help!